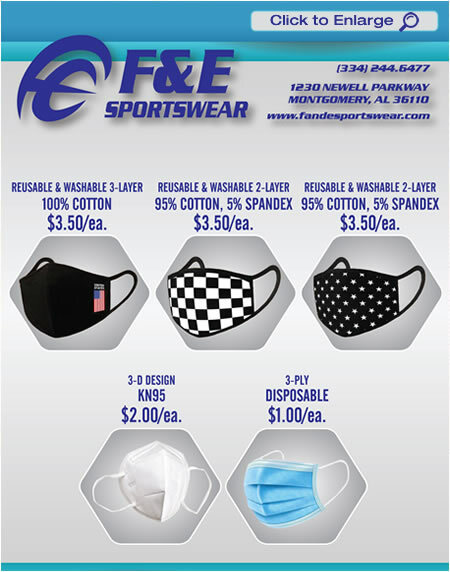 ::: F&E SPORTSWEAR Corp. ::: Graphic Requeriments, Banners, Printing, Screen Printing, Apparel catalogs, Sign & Banner Dept., Embroidery, Promotional Products and Vehicle Wrap Company. We are proud to introduce you to our family-owned screen printing, embroidery and specialty advertising company based in Montgomery, Alabama. For the past 25 years our mission statement has not changed: To provide a wide variety of quality products at competitive pricing, on-time delivery and outstanding personalized customer service. What HAS changed are the size of our facility, the number of F&E employees, the addition of high-tech equipments and the addition of extra services (such as polybagging, private label, custom packaging/shipping, warehousing programs) and customer perks (such as the use of our new vending concessions trailer and air cannon to shoot t-shirts to fans and special events) for our qualifying customers. 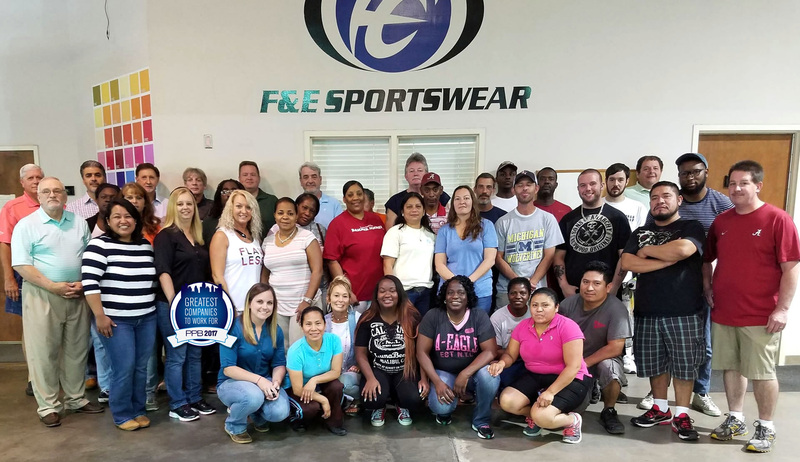 We are constantly striving to make you experience with F&E sportswear so pleasant, exciting and worry free that you will want to think of us for all of your screen printing, embroidery and specialty advertising needs!. 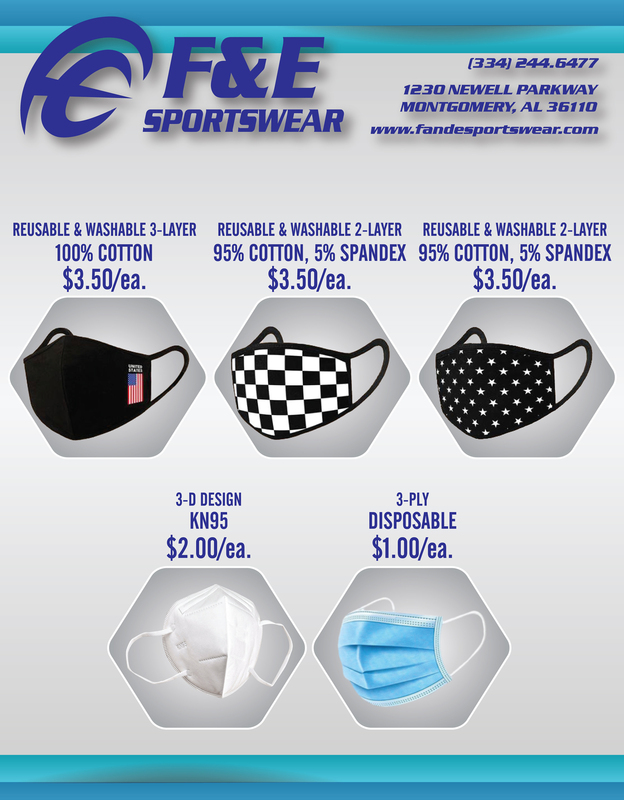 Thank you for your interest in F&E Sportswear. We look forward to hearing from you! at competitive pricing, on-time delivery and outstanding personalized customer service"